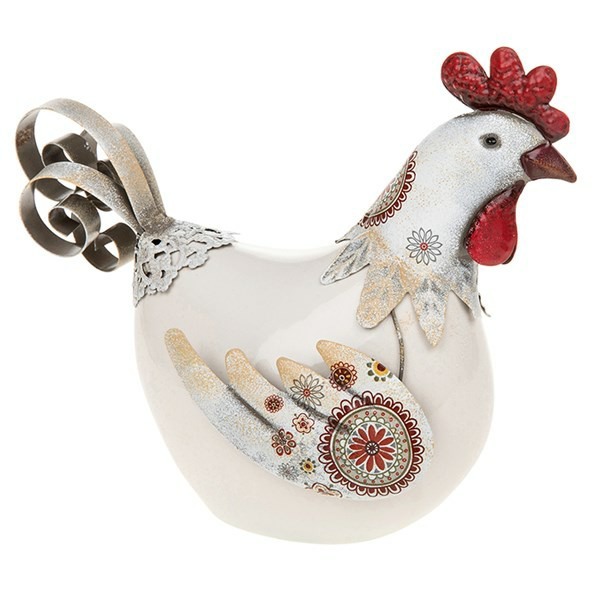 A delightful chicken ornament for inside the home, made from pottery and decorated metal work. This attractive hen with its cream and red design, would look great sat on a kitchen cupboard or roosting in any country cottage! Enamel Chicken Trinket Box (with necklace). A beautiful enamel hen with gold coloured plumage.